Debs: Is that even a word? 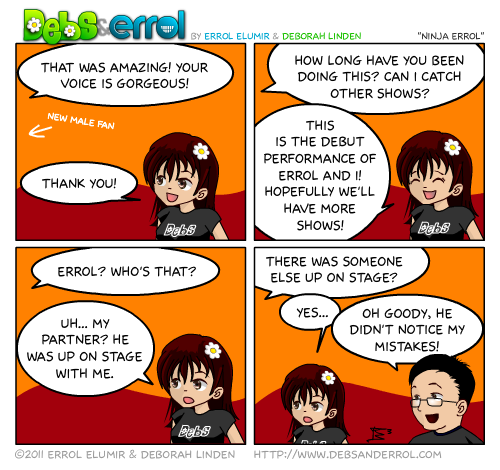 Poor Errol. Hey, it WAS! More or less. Maybe its a good thing that “the guys” aren’t noticing you! ?